From inception to completion the adoption of a dynamic approach, which benefited from an experienced workforce and effective communication, was integral to this project. Strata were able to keep this office open throughout the works and provided a response that safeguarded the integrity of the building. The initial scope of this project was to strip the existing roof covering, make necessary structural repairs and then install new insulation and covering. 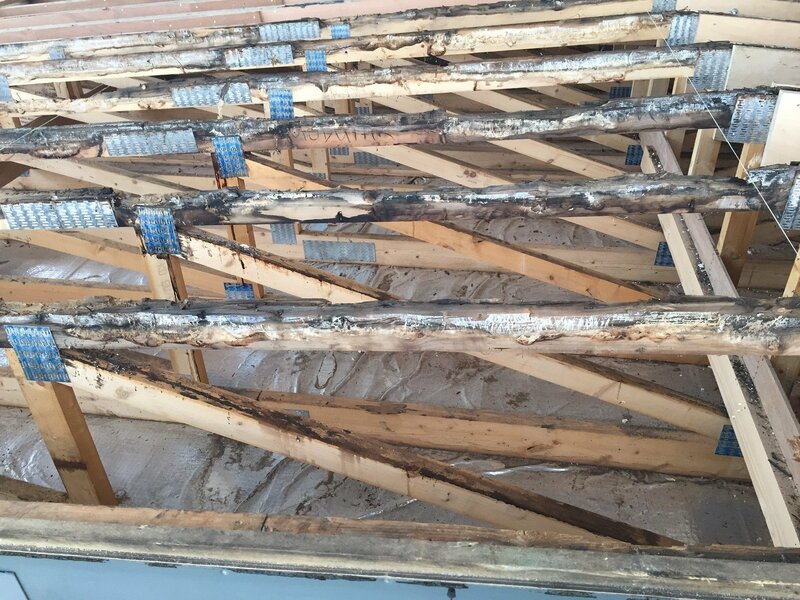 Removing the roof membrane and boarding however exposed the condition of the structural elements of the roof construction. The scope of this project changed significantly as the condition of the existing structure became known. Strata remained committed to both the client and project, recognising that this was an integral building to the client’s regional infrastructure. 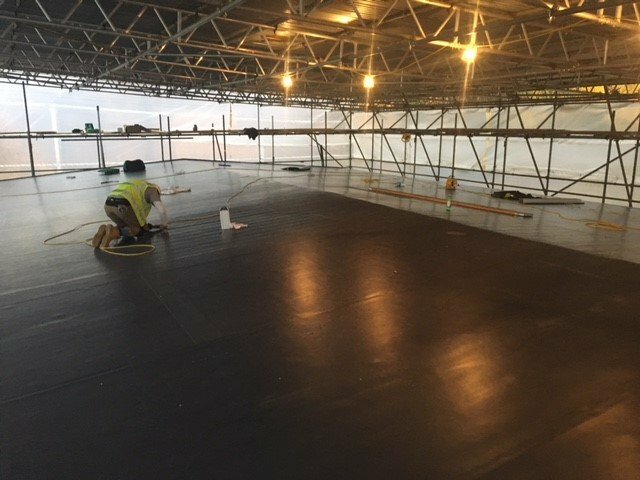 Remedial works were carried out throughout the entire roof, which included the use of Rotafix TG6 Timber Grout, a filled three part epoxy resin system designed for the repair and upgrading of beams. New Oriented Strand Boards were fitted to form the structural covering of the roof and once the associated carpentry works had been completed a breathable membrane was attached. 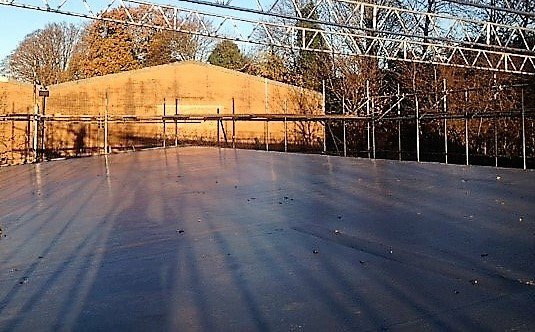 This formed part of the single ply waterproofing system and provided a vapour barrier between the insulation and the roof below. The ridged insulation was subsequently fixed on top of the vapour barrier, prior to adhering the waterproof membrane. Once completed new guttering and facia were installed.